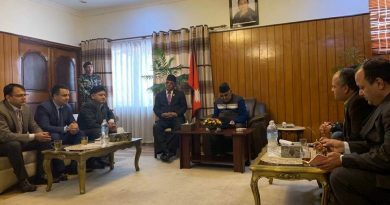 Kathmandu: Nepal is set to organise the Nepal-India Franchise Investment Summit, starting from May 15, the Federation of Nepalese Chambers of Commerce and Industry (FNCCI) informed in a press meet. The two days Franchise Investment Summit will be held in the capital of the Himalayan nation in association with the Embassy of India and Federation of Nepalese Chambers of Commerce and Industry. “We have been working on this since a month and it is not surprising that we have confirmation from 55 Indian brands and these brands have actually shown interest in coming to Nepal and this list is still growing,” Singh apprised media. The Expo will have diverse business zones showcasing over 100 business opportunities across food & beverages, retails, education, fitness, fashion, wellness, real estate, technology and services. To register in the conclave and the exhibition any interested parties can go through the official website of the organizer ( click here ).